The Goderich Port Management Corporation is investigating the expansion of wharf facilities at the Goderich Harbour to address a lack of loading/unloading and storage space at the Harbour. The possible expansion of wharf facilities requires the completion of an Individual Environmental Assessment (EA) under the Ontario Environmental Assessment Act. Additionally, the project will also require a screening under the Canadian Environmental Assessment Act (CEAA). Preparation of a Terms of Reference (ToR). Preparation of an EA Report. The ToR serves as a framework, outlining the steps that will be followed to prepare the EA report and how the project will be evaluated. The EA Report presents the identified alternatives, the results of the assessment of alternatives and addresses the potential environmental impacts, including proposed mitigation measures. More information on the ToR and EA, as well as documents relating to these steps of the EA process, can be found by using the navigation menu on the left. 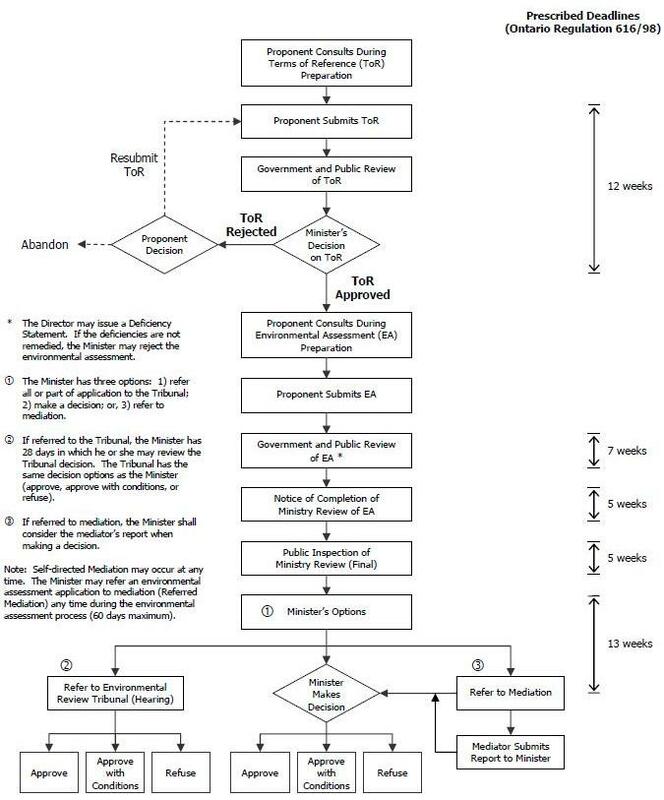 The steps in the Individual Environmental Assessment process, as well as the associated timelines, are shown in the figure below.